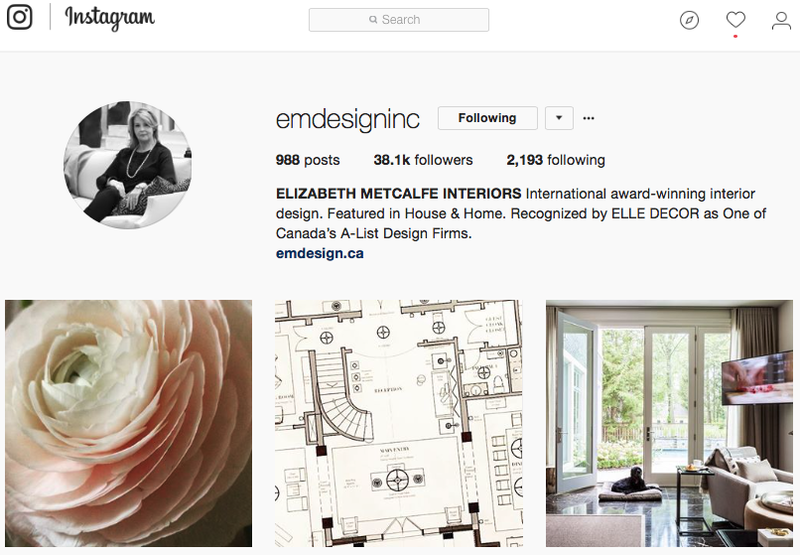 Instagram has been consistently growing in importance and relevance for the interior design business. The free application for mobile devices is visually driven and is home to a vibrant community of interiors professionals, suppliers and enthusiasts. Think of it as a free marketing tool to connect your business to a potential audience of thousands. 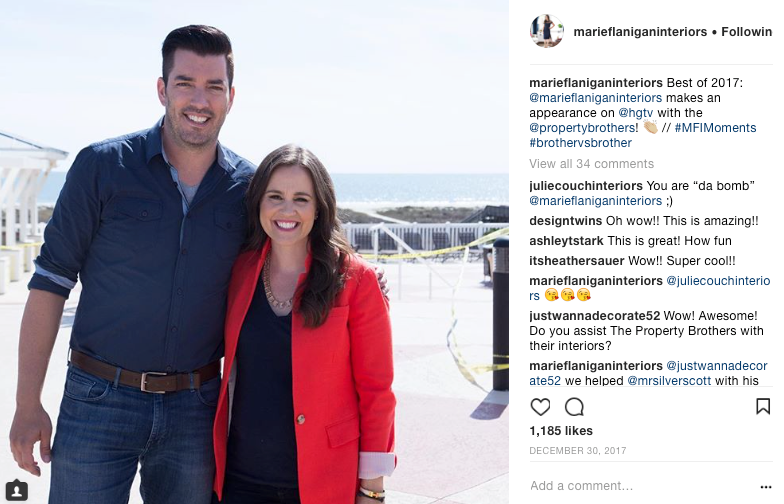 At a recent trade-focussed special event in the Cocoon Furnishings showroom our marketing and media expert, Margot Austin, shared seven ways interior designers can use Instagram to build their brand. This isn’t the “101” of Instagram. If you need a primer on setting up an account and how to post a photo, check out this helpful YouTube video. If you are already using the app but would like to use it more effectively to support your business, read on. The most important way to ensure people can find you and know what you do is to make sure your Instagram Username reflects your business name and that your account is set to public viewing. 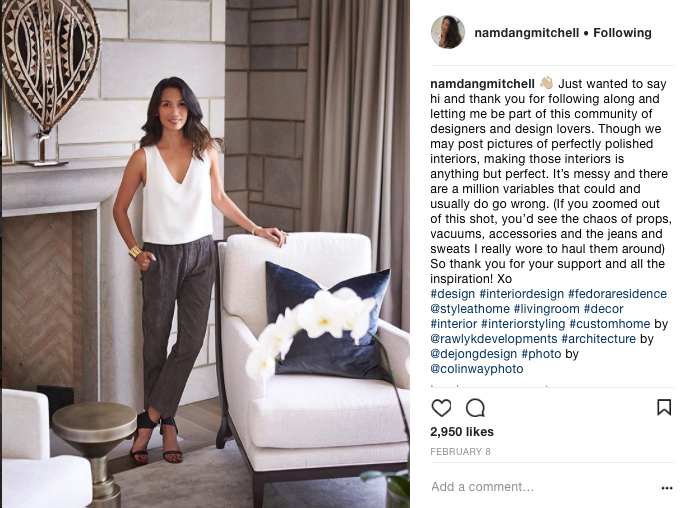 For example, if your business name is Jane Smith Interiors, then an Instagram Username of @yogamomof4 is not doing your business any favours. Check Instagram for available versions of your business name. 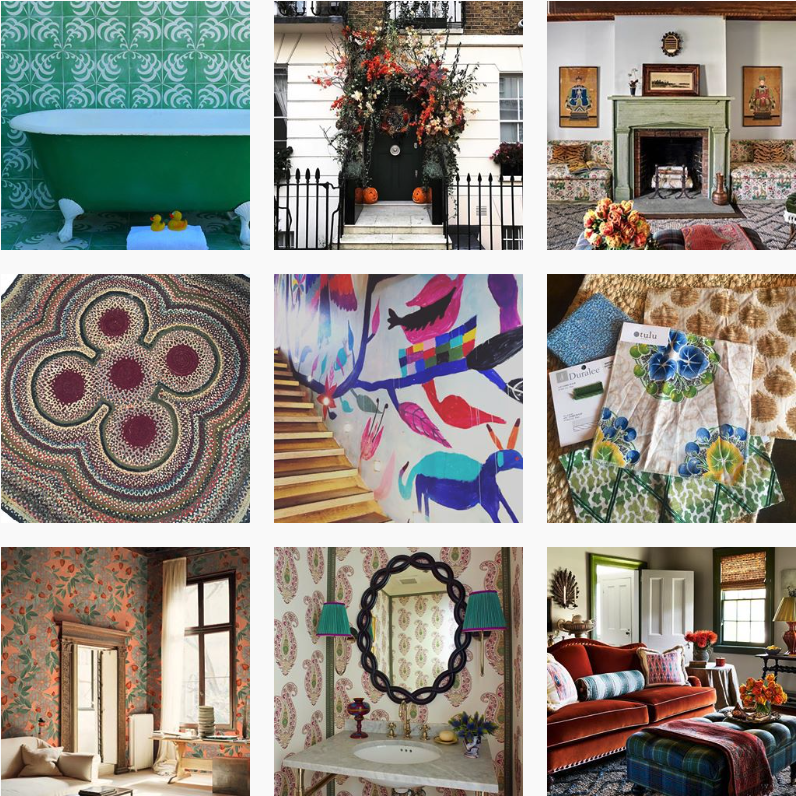 @janesmithinteriors is the best possible option, but if it’s not available, try variations of it using underscores, such as @jane_smith_interiors. Once you have a version of your business name in the Username field, use the Name field of your profile to put your actual name or your actual name plus the word Interiors: Jane Smith or Jane Smith Interiors. This is particularly important if your business name isn’t your actual name. For example, if your Instagram Username is a business name like @FeatherYourNest then the name field should be Jane Smith so we know who the principal is. It’s always preferable to have your portrait as the profile image. If this isn’t possible, make sure your logo fits the profile avatar properly and is the same logo used on your web site and in other communications. Set up your Instagram as a business profile not a personal one. In order to do this you will need a Facebook Page. Check out this step-by-step post on Facebook on How to Convert Your Instagram Profile to a Business Profile. Don’t worry, you don’t need to add Facebook Page management to your to do list. Your Facebook page can exist with just your essential business details and a link to your web site. You can easily simultaneously post your Instagrams to the Facebook Page to maintain some content there without additional work (phewf). Having an Instagram business account offers distinct advantages over a personal profile: 1. You can add the option of click through direct contact with you via phone or email. 2. You have the option of paying to promote posts. 3. You can study a range of analytics (accessible by touching the bar graph that appears on the top right corner of a business profile — see ours above) to discover more about your audience and the best times to post and the posts that perform best. If you are known for loving colour, post lots of colour. Post your signature colours often, if you have some. 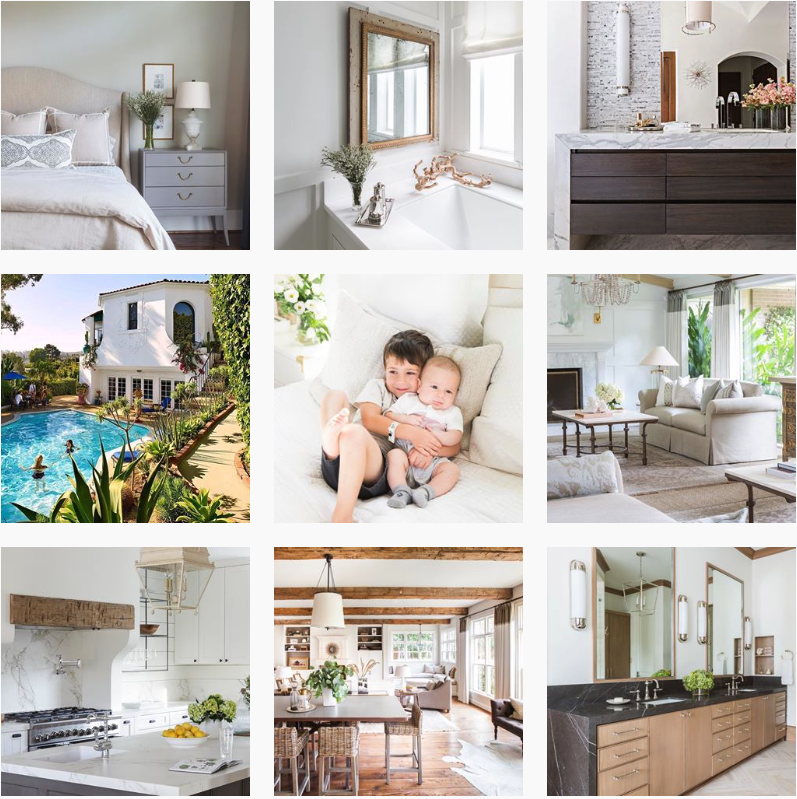 If you design mostly neutral, serene spaces, make sure your Instagram feed is neutral and serene. Think of Instagram as a quick reference portfolio to showcase your aesthetic in the space of a mobile screen. Limit the frequency of in progress renovation shots to one every 15 posts or so. These can be a great way to introduce a new project you will be posting about in the coming months and can show your firm's capabilites. But let’s face it, non-professionals don’t find a raw space nearly as tantilizing as pros do. Let your followers see you every 12 posts or so. If you are having an interior you designed professionally photographed, get one shot of you in the space that you can post on Instagram. Perfect the art of the selfie or ask a colleague or friend to take a pic with you in it — maybe at your studio, out scouting or at an industry event. If you aren’t comfortable in front of the camera do some Google or Pinterest searches for How to Pose for a Great Portrait or Best Apps for Selfie Editing (CAUTION: edit with a light touch — obviously smoothed images can send a message of inauthenticity, which is not great for your brand). An example of a credited repost. Take advantage of this free visual platform to communicate your aesthetic and skills. Chances are as a creative you are snapping pics constantly of the beautiful things you see and places you go. Do a quick YouTube search for tips on how to take the best photos with your phone. You'll improve the quality of those on-the-fly images so you can use them for Instagram. 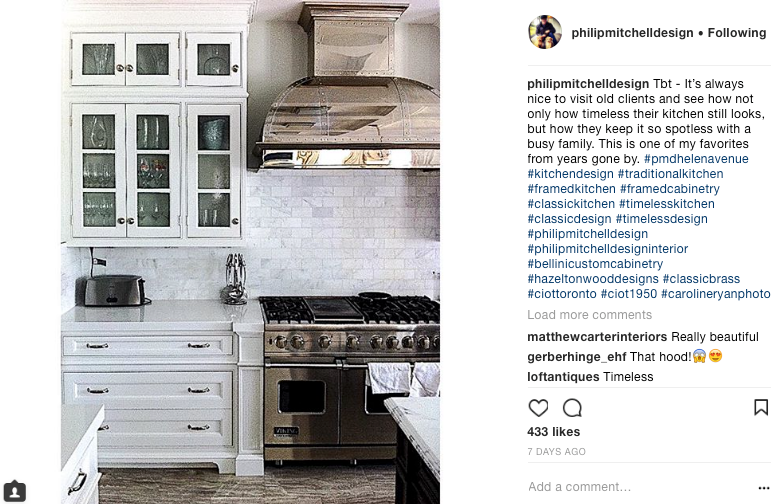 Repost others’ work infrequently — maybe one or twice a month — and when you do, clearly state the designer and/or photographer credits on any images that are not your own. @hintofwhyte geo-tagged Cocoon when she was shopping (see how the location is indicated just below her ID). Now we can repost this image and our 12,000 followers will learn about her account. Sometimes design professionals like to keep their sources confidential, but Instagram is a world of sharing and transparency. The benefits you gain from adding the location where you are and/or some of the sources in your rooms can outweight any perceived negatives for giving away sources. Posting a photo of something incredible you see while out sourcing shows your followers that you are out there and active on the market. Tagging the supplier builds your relationship with that supplier. 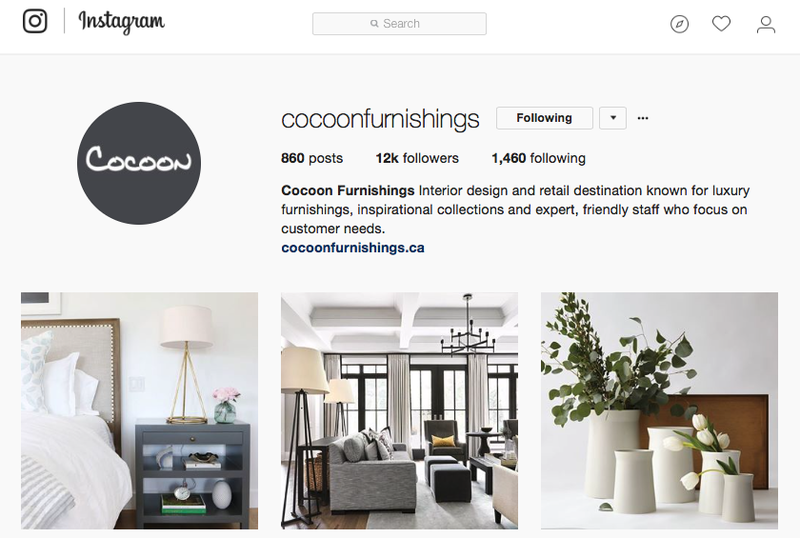 For example, Cocoon Furnishings often reposts images that we have been tagged in with either @cocoonfurnishings or #cocoonathome or a location geo-tag. A repost exposes your image and your brand to our 12,000+ Instagram followers and is sure to gain you some new ones. If you love an account, like @suzannekasler, click on her Followers and Following lists and scroll through to find accounts you might like to follow. Potential clients: include your existing clients and then expand to connect with their networks of neighbours, colleagues, realtors who specialize in your area, community groups, clubs or charities. Design Peers: designers who do what you do all over the world. Design media: magazines, magazine editors, stylists, interiors photographers and design blogs from all over the world. By interacting regularly with these communities your account will appear more often in other's feeds and you will see your follower counts and levels of engagement rise. Your firm will become top of mind for advantages that might include invitations to special events, getting published, and possibly even new clients. Keep this guide handy by pinning the image below to your Pinterest account.